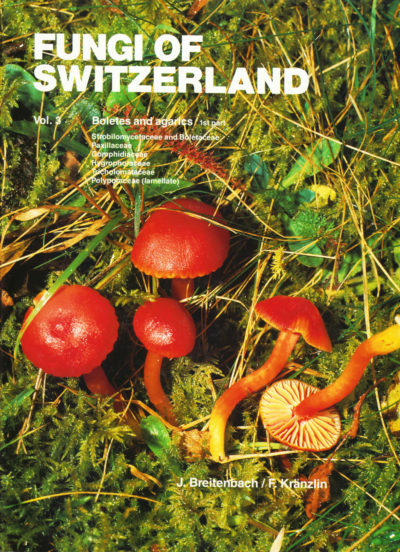 “Fungi of Switzerland” is an illustrated Swiss flora of macromycetes with a total of 2486 described species. The books are very popular due to their easy readability and aesthetic design. 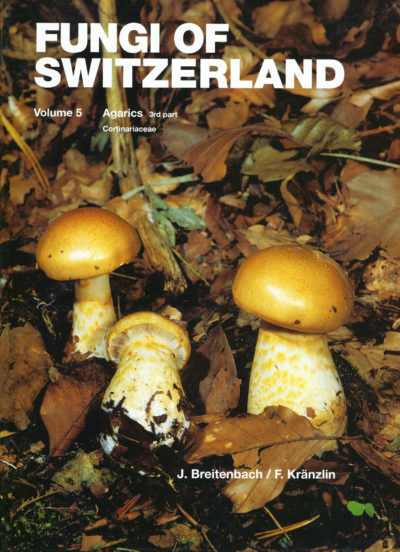 For many mushroom lovers, “Fungi of Switzerland” has become a standard work that should not be missing in their library. Higher educational institutions such as universities, botanical, biological or forestry institutes are also interested in this thematically closed and extensive flora. 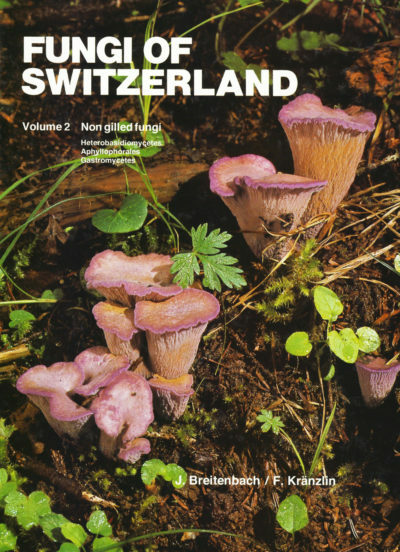 Each recorded fungus species is treated in detail by means of a macroscopic and microscopic description and documented with drawings of the micromorphological characteristics and a coloured site survey. 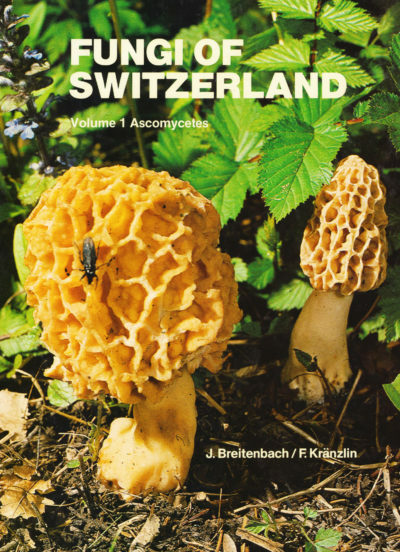 In addition, find data and ecological information such as substrate, accompanying plants, soil conditions, etc. are mentioned. The “Remarks” provide information on possible confusion, species boundaries and systematic characteristics. A large number of references make further studies easier for the reader. 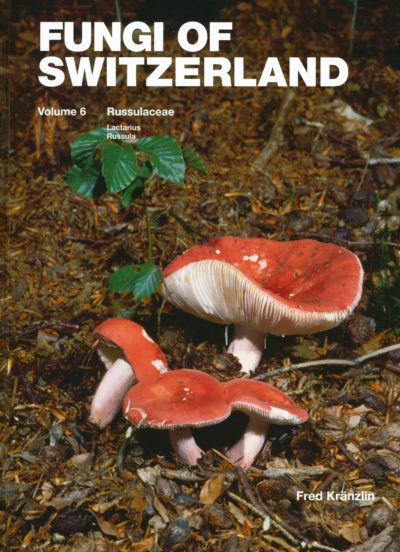 The fungi shown are largely representative of the whole of Central Europe and listed in their systematic order. Distribution data also provide information about the occurrence in other continents. 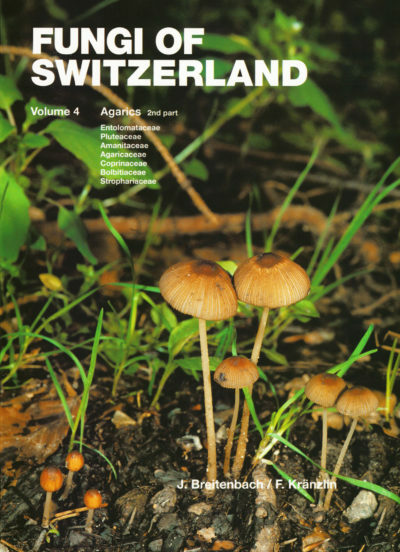 The six volumes of the series “Fungi of Switzerland” were published in close cooperation with the Mycological Society Lucerne (MGL), which also houses a collection of all desiccates. The Scientific Commission of MGL has always felt obliged to methodically support the excellent data collection. To this end, additions and changes to the nomenclature and descriptions in the book are made on an ongoing basis. We refer to these changes in the individual volumes by means of links.